Tikal means "City of Echoes". Tikal (/tiˈkäl/) is the ruin of an ancient city found in a rainforest in Guatemala. 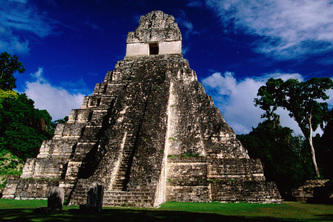 Tikal is approximately 303 kilometres (188 mi) north of Guatemala city. 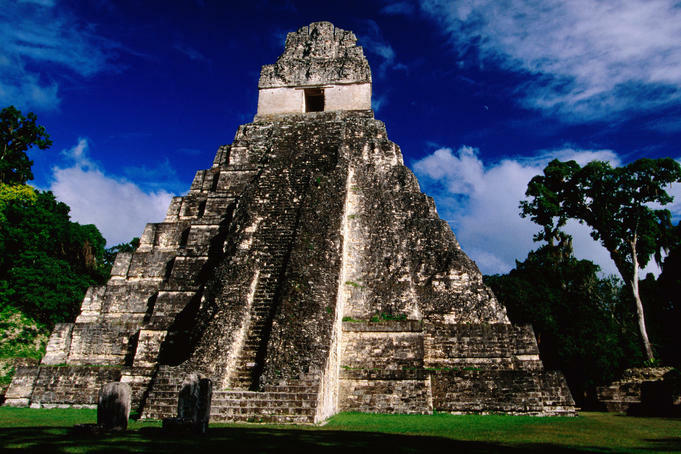 It is believed that Tikal's population could have peaked at 90,000 inhabitants in the Classic Period Ii the 5th century the power of the city reached as far south as Copan in Honduras. 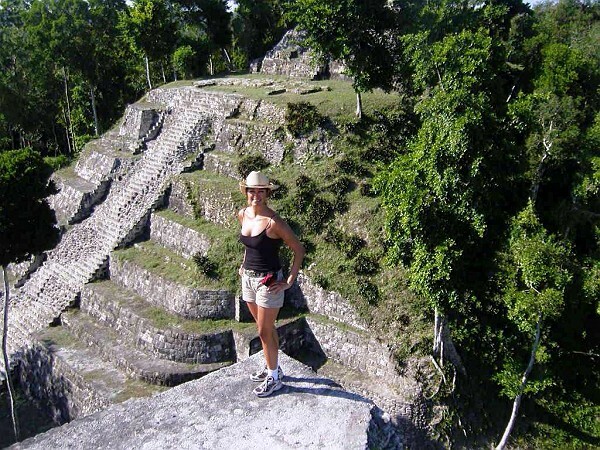 Tikal National Park is in the heart of the jungle, surrounded by lovely thick vegetation. It lies one of the major sites of Mayan civilization, inhabited from the 6th century B.C. to the 10th century A.D. The ceremonial centre contains superb temples and palaces, and public squares accessed by means of ramps. Remains of dwellings are scattered throughout the surrounding countryside. 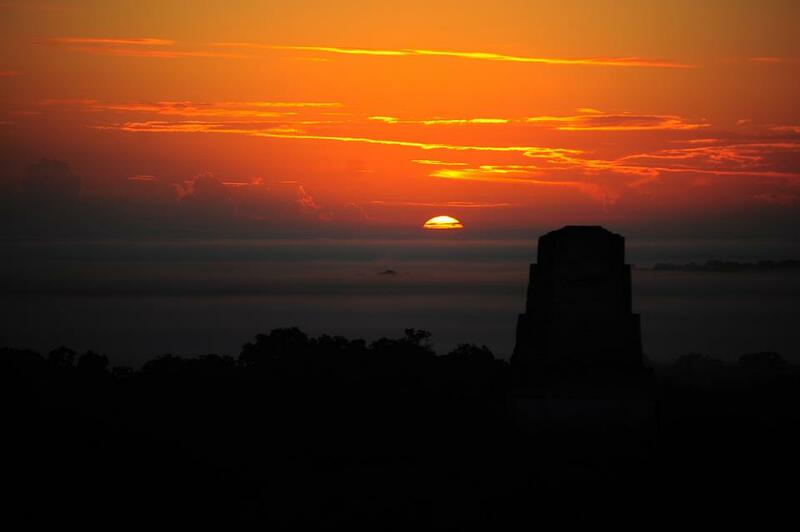 You don't need to go far to experience a bit of the Mayan culture. In the British Museum in London you can find a sculpture of the Maya Maize God, a youth wearing a headdress in the form of a stylized ear of corn and hair in the form of the silk of the cob.